The project has not been without snags. Underestimates of make ready costs, partly due to long driveways for some potential subscribers, drove up deployment costs, which are still not finalized at around $3 million. A few property owners had opposed new utility poles on or near their property, which hampered a smooth deployment. The fact that the state’s Department of Conservation & Recreation owns swaths of New Salem also interfered with the process by adding an additional level of approval to pole installation. 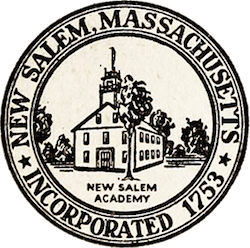 According to Dunbar, however, New Salem is collaborating with nearby Shutesbury and Wendell, and that collaboration is helping to improve the deployment process. All three communities have contracted with WG+E to build their publicly owned networks. Wendell expects to begin connecting premises in the fall, while Shutesbury is aiming for a May launch. Readers may remember that Shutesbury was one of the communities that sent Charter packing when the corporate ISP proposed to serve fewer than all the homes in the community. When pressed for a price to expand to 100 percent of the town, Charter refused to offer a price, so Shutesbury declined and chose to build their own FTTH network with WG+E. Photo of the new hut courtesy of the New Salem Broadband Committee.